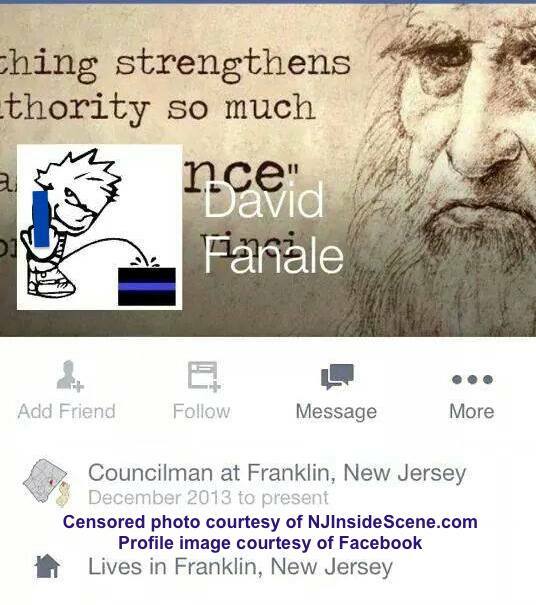 The recent incidents involving Councilman David Fanale has thrust Franklin Borough into the state and national spotlight, and it saddens me to say it is for all the wrong reasons. One councilman does not speak for this community; I’d like to share with you the reasons to celebrate Franklin Borough. As a county resident for over 25 years, Franklin represents so much to me. I grew up in Ogdensburg, graduated from Ogdensburg Elementary School, and then from Wallkill Valley Regional High School. As a child, attending Franklin Day was a rite of passage to celebrate the summer. My first job was in Franklin; at the age of fourteen, I was blessed to work at Franklin Carvel with the Coleman family, and was able to see all the familiar faces: little boys and girls coming to celebrate their big wins on the baseball and softball fields. In my early twenties, I met our senior population, delivering Meals on Wheels to our elderly and homebound residents, and formed relationships with our residents I will not forget. Additionally, in the late nineties, when I was lucky enough to be selected as Miss Sussex County, the Littell family -the epitome of servant leadership in the county- graciously supported me with sponsorship for my participation in the Miss New Jersey Scholarship Pageant. As a former teacher, and now school administrator in Bergen County, I knew that when it was time to purchase a home, Sussex County was the logical choice, as there is no better place in the state to raise a family. I purchased my home in Franklin in 2011, and now my three children are afforded the opportunity to grow up in such a beautiful environment. Franklin Borough represents the delicate balance between economic growth and development, and the preservation of our beautiful borough. I am proud of our fire department; I have seen how these noble volunteers risk life and limb to selflessly serve the community. Our police department maintains a strong and visible presence, a comfort to residents, as I know our dedicated public servants are there for us whenever we make the call. Our educators, both at the elementary and high school level, work tirelessly to ensure that the students receive a quality education. Our recreation department ensures that residents of all ages have a variety of social activities to engage is as a way to draw our residents closer to one another, and to promote relationships. As stated in prior council meeting minutes, a prominent goal of the mayor and council is to attract residents and businesses to our borough, as the residential population has decreased. Additionally, keeping taxes level are a paramount priority of their constituents. When residents elect members to municipal government, these issues must now be addressed by our elected officials – free from bias, free from hidden agendas. It is not about cuts to our police budget, it is not about cuts to our educational budget – it is about attracting residents and businesses to promote steady economic growth, and the creation of job opportunities for our residents. It is about working together to meet common goals, not about blatant disrespect and self-promotion. Franklin: we are a community, and it is evident that Mr. Fanale has not the desire or the moral, ethical compass to bring sound decision-making to the borough council. All public servants share a common thread: to serve and protect the interests of the community. This is true of our police department, our teachers, and our elected officials. We hold these individuals to a higher standard of behavior because of the gravity of the responsibility placed upon their shoulders. This is not a first amendment issue; it is an issue of being a servant leader, setting an example for the constituents, and making the town proud. Suffice it to say, Councilman Fanale does not possess these qualities, and has effectively brought unwarranted, negative attention to our borough. If past behavior is a clear indicator of future behavior, I doubt Councilman Fanale will cease this reckless behavior and step down; the decision to recall him now lies in the hands of the voters of Franklin. I whole-heartedly support the recall of Councilman Fanale, as his recurring behavior evidences his offensive disregard of what the voters want, and where we see the direction of the borough going. We are a community, and there is no place for an individual that does not have the best interests of the borough, and its residents, in mind.